This satiny serum is a remarkable formula for smoother, brighter-looking skin. Vinoperfect boosts the complexion's radiance and appearance. Your skin is moisturized and luminous. Your complexion looks even and beautifully radiant. Enhances radiance, tone and clarity. 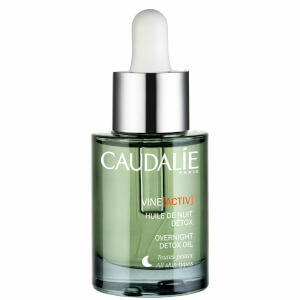 Apply Caudalie Vinoperfect Radiance Serum to face and neck in the morning on its own or after the Lifting Serum. In the evening, apply Night Infusion Cream. Aqua (Water), Butylene Glycol, Glycerin *, Squalane *, PEG - 8, Tocopheryl Acetate, Ceteareth - 20 *, Lonicera Caprifolium (Honeysuckle) Flower Extract *, Glyceryl Stearate SE *, Vitis Vinifera (Grape) Fruit Extract *, Palmatic Acid *, Parfum (fragrance), Caprylyl Glycol, Acrylates / C10-30 Alkyl Acrylate Crosspolymer, Xanthan Gum, Citric Acid, Tetrasodium Edta, Sodium Polyacrylate. This was the first serum I ever tried. It came as part of a birthday gift from Sephora so I gave it a shot. My skin looks brighter and dewy, which I LOVE. I use this every morning. A little goes a long way so don't let the price tag scare you! I'm going through one of these bottles every 3ish months. I've used this product for the about 2 months in combination with their face creams and it has not improved or brightened my complexion whatsoever. I will be trying another product. Long time user of this product, worth the price. If you're looking for something to even your skin tone without a whitening or bleaching effect, this is a good one. Easy to apply, and good results. Doesn't work overnight, but after a few weeks you'll see improvement. I received a sample of this from SkinStore with a purchase of the Vinexpert serum, and I'm obsessed with it! I applied it in the morning under my makeup, and when my husband saw me, he remarked how great I looked and asked if I had been out in the sun. It isn't a tanning or bronzing product, but it does lend a fresh glow as if you has been on a yacht all morning. It's fabulous to have such a fresh face! 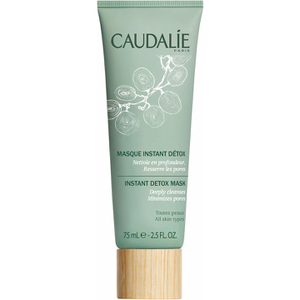 Perfect for reducing facial imperfection. It will lighten dark spots. I love this serum!! I like to use it with the vino perfect night cream. My other favorites arePremier cru and then I like to alternate with the skinceuticals line!!! I have used more than half the bottle to no visible effect. When I first started using it I broke out badly and couldn't figure out whether it was from this product or another factor. I stopped using it and then went back and the breakouts stayed under control. Still it doesn't seem worth it if my spots are the same. I had high hopes for this product based on the reviews here so I am disappointed. I do not often buy products this expensive and when I do I expect them work. The upside of this product is that it smells good and goes on smoothly, so I will continue using it until it is gone and then I will try something else. Perhaps there will be a minimal effect by then. My hyperpigmentation is quite bad and maybe this product just isn't strong enough.